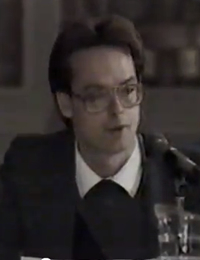 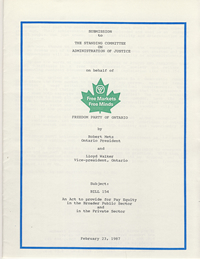 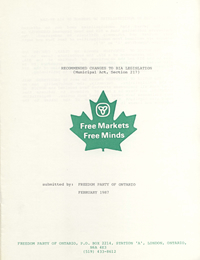 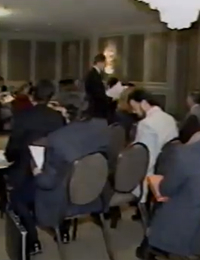 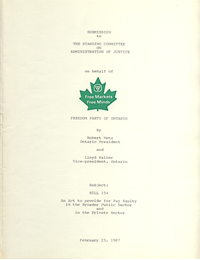 On February 25, 1987, Freedom Party’s Marc Emery (Action Director) and Robert Metz (President) made separate submissions to the London meeting of a Select Committee on Sunday Shopping. 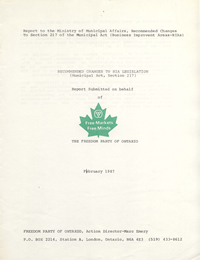 Emery’s submission in part blamed organized religions for the Retail Business Holidays Act‘s ban on opening a retain store on Sundays. 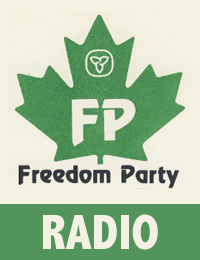 That statement got him national attention, including this interview on CBC radio.